It’s tough being a student these days. Debt levels are reaching crisis proportions in many developed countries, the World Bank says. And in many developing countries, aspiring students can’t get finance at all. In the US, where private funding is the norm, $1.3 trillion (1tn) in education loans is outstanding. In the UK, the government-backed student debt burden is nearly 90bn. And trying to find the best way to finance your university or postgraduate education can be a confusing business. 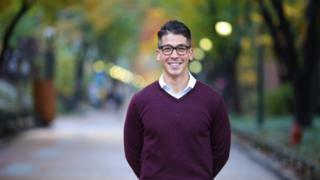 “I remember feeling overwhelmed by some competitor lenders,” says Alex Kubo, 28, an MBA [Master of Business Administration] candidate at the University of Pennsylvania in the US. Luckily for him, he came across one of a new breed of lenders harnessing data analytics to make better loan decisions and cut costs. Online lender CommonBond offered him a fixed interest rate that beat the other lenders he tried. How was it able to do this? “Examples of the data we take into consideration are an applicant’s free cash flow, earning potential, credit history, education, location, and many more data points,” CommonBond chief marketing officer Phil DeGisi tells the BBC. This data is fed into a proprietary algorithm, which assesses the applicant’s viability for a loan, he says. An application can take just two minutes to complete and the average student will save $14,500, says Mr DeGisi. In the US, MBA students can typically accumulate anywhere between $100,000 and $200,000 in debt and expenses over two years, so finding the best loan deal is crucial and “one of the biggest challenges facing this generation”, says Mr DeGisi. Rival student finance firm SoFi adopts a similar technique to CommonBond, but comes at it from a different angle, assisting students who have already taken out loans to refinance. Its co-founders saw a gap in the market when they noticed their peers at Stanford Business School were paying high interest rates in spite of being relatively low-risk borrowers. “The tech that powers SoFi is essentially the combination of our online interface with our proprietary underwriting model,” says Catesby Perrin, the firm’s vice president of business development. “Our model looks at free cash flow, education and profession as well as history of financial responsibility, providing a more accurate picture of their financial wellbeing than, for example, a credit score would,” says Mr Perrin. SoFi, which has made nearly 200,000 loans so far, says it saves borrowers an average of $17,000 over the life of the loan. And its risk assessments are so accurate that the default rate – the percentage of students failing to keep up repayments – is one of the lowest in the industry. The firm has now moved beyond student loan refinancing to offer other products, too, such as a mortgage tailored to former students that enables them to roll their student debts into the home loan. And there is evidence that student loan debt is holding people back. Research by UK charity Central YMCA found money worries to be the biggest cause of stress among people, with students being particularly affected. The International Finance Corporation, an arm of the World Bank that offers investment and asset management services, says student lending in many developed countries is in crisis, and that emerging markets need to come up with new ways to fund learners. 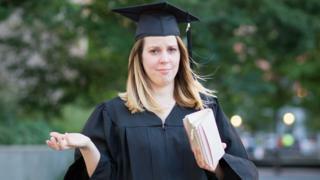 Image caption Is student debt stopping young people from achieving their goals? 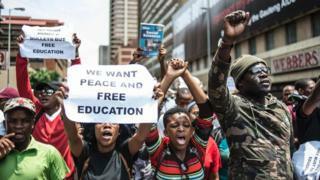 In Africa, for example, only 8% of people have a higher education degree, and banks and microfinance institutions devote less than 1% of their portfolios to student loans. 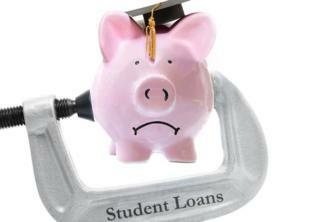 Yet few government loan programmes can keep pace with demand. “Existing loan products are structured with prohibitive terms that make them difficult to repay,” says Jennifer White, founder and chief executive of Student Finance Africa, a loan company. Her company has designed its own credit scoring algorithm to tackle this, helping make informed lending decisions on clients who may not have a credit history. So it looks at alternative data, such as mobile money transaction history and academic performance. “Our loan structure also requires borrowers to make minimal interest payments during school in order to continue qualifying for loans as they progress through their studies,” Ms White says. This approach has never been tried before in Africa and has met with a positive response, she says. The company is launching its programme in Kenya in three schools, and will begin official lending early next year. Ms White is confident of reaching 15,000 students over the next five years.